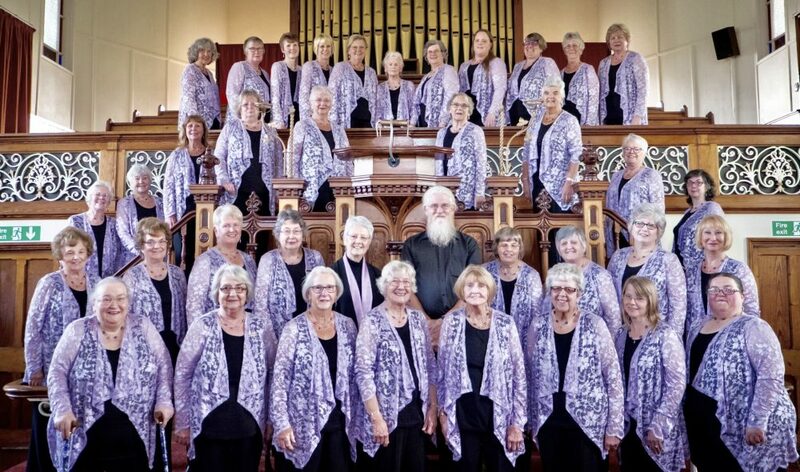 Stithians Ladies Choir was formed in 1966 by the late Sydney Bowden, who was the Choir Master and Organist at Penmennor Methodist Church, Stithians. At that time there was a membership of 65 and 8 of those founder members are still singing in the Choir today. At the moment we have about 40 choristers, and the sections are well balanced, however, new members are most welcome. So if you are interested, please see our Join Us page or contact us for further details. Rehearsals take place at 7.30pm on Thursday evenings, at the Band Room, in Stithians. The Choir is in great demand across Cornwall and Devon and, over the years, has helped raise many thousands of pounds for charity. Programmes are prepared by the MD and careful consideration is given to ensure that the varying musical tastes of audiences are catered for. Modern and traditional music, songs from the shows and all the old favourites are included. These together with arrangements especially written for the choir ensure that there’s something for everyone to enjoy. If you would like to book the choir, please contact us via email – stithiansladies@gmail.com or the form on our Contact Us page.